Close to the town of Steamboat the Holiday Inn is a high quality hotel with a low price. 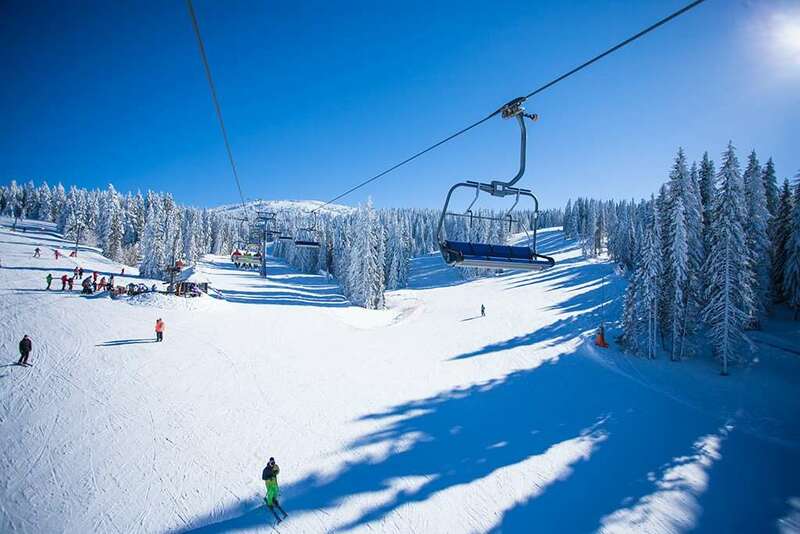 The hotels own, complimentary shuttle bus will run you to and from the slopes, and in the evening there is a choice of restaurants in the vicinity or you can jump in a taxi to the ski resort or town, which only costs a few bucks. There is a restaurant and bar within the hotel as well as a outdoor pool and hot tub, so if you are shattered after a day on the slopes there’s no reason you even need to leave the hotel. Rooms have bathroom with private bath, shower and WC, coffee maker, telephone, iron/ironing board, hairdryer and cable TV. Hotel rooms - sleep 2-4: Rooms are newly renovated and spacious with two double beds.